Sun, sea and sangria: the three words that sum up the collective pre-conceived image of Spain. 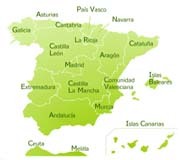 But that’s not all; in fact Spain is so much more than that. Sure, there is plenty of sangria and the climate borders perfection, but in reality three words cannot sum up Spain, nor could thirty for that matter. From its never-ending white sandy beaches to its cosmopolitan cities, Spain has it all. As one of the most welcoming countries in the world once you get there it’s likely that you’ll never want to leave! An endless supply of history and charm; from the Moorish past of Andalucía to one of the most important religious destinations in the world at Santiago de Compostela, Spain has everything to offer to suit any taste and that’s before we’ve even mentioned it’s world famous gastronomy! This Spain travel guide is the perfect place to begin your adventure and help you decide where to visit first, an exciting journey awaits! Planning a trip to Spain? Want to learn more about bullfights, the Spanish Inquisition, or those scumptious tapas everyone keeps raving about? Whether you're simply interested in one of Europe's most fascinating destinations or you're already in Spain and looking to get more info about your new surroundings, we're here to help! 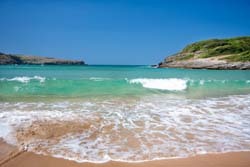 The different sections on the left menu will guide you throught the most extense information about Spanish culture and lifestyle -About Spain-, and how to plan your trips and move around the land of sun -Transportation-.